With winter season being in full swing, the Albatross golf resort team is busy preparing for the golfing season, which is coming in fast. Work is progressing both on the course and training facilities and also behind the scenes in the offices where new events and programs are being prepped. The course has undergone major design changes in the past few years. This winter is completely different as the course is given time to “digest” all these alterations. This gives the head greenkeeper Ben Lovett an opportunity to focus on quality of the course. He has improved the level dramatically already, yet the course is already shaping up to be even better beginning of the season. Major component of course quality is water so we are working to fine tune the irrigation system, to cover the course more effectively. This goes hand in hand with larger water reservoir and stronger water pumps. There are big things to be expected from the Albatross Academy, both in the area of lectures and programs as well as new equipment and technology. As an addition to classic golf lessons with the academy coaches, you will now have the chance to try group lessons, focusing on major parts of the game or for example “speed lessons” designed to give you just the fix you need before setting of for the course. A necessity on the menu are of course the kids programs, tailored to fit the smallest golfers and young talents alike. All this under the supervision of David Carter. Practice facilities will now count two new greens designed for even broader short game practice options. They will be a total of 700 meters squared and will even offer a new bunker, located closer to the green. This will altogether give golfers the option to practice approach shots up to 40m from the green and various new positions around the green as well. European Tour return to Albatross for the sixth time already, with the Czech Masters. Third week in august (14. – 18.8.) 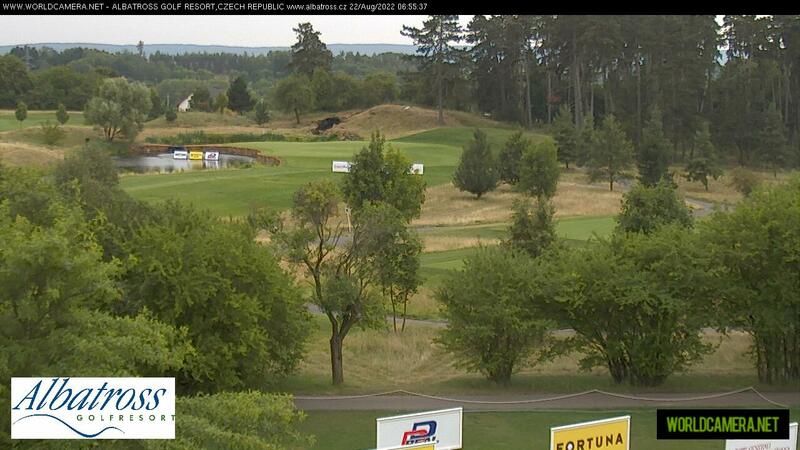 will therefore showcase some of worlds top golfers on a course just outside Prague. We are already anxious to find out whom are we going to have the pleasure to watch this year. But do not be sad if you do not make the start list yourself, there is going to be an opportunity to play tournament golf every Sunday as part of the Albatross Open series. These events will start very early in the season. Whilst our course is closed, we strongly advise you to travel abroad, so you can enjoy golf in warmer conditions. Albatross as a member of the European Tour Destinations offers it’s members a chance to play courses like Jumeirah Golf Estates, that hosts the Race to Dubai final, for a price of EUR 35. And while you are in Dubai you can also play Emirates Golf Club and Dubai Creek for 40% off. These two clubs will soon become a part of ET Destinations as well, so there is even more to look forward to for Albatross members.